Release date: 30.4.2012 SOLD OUT! 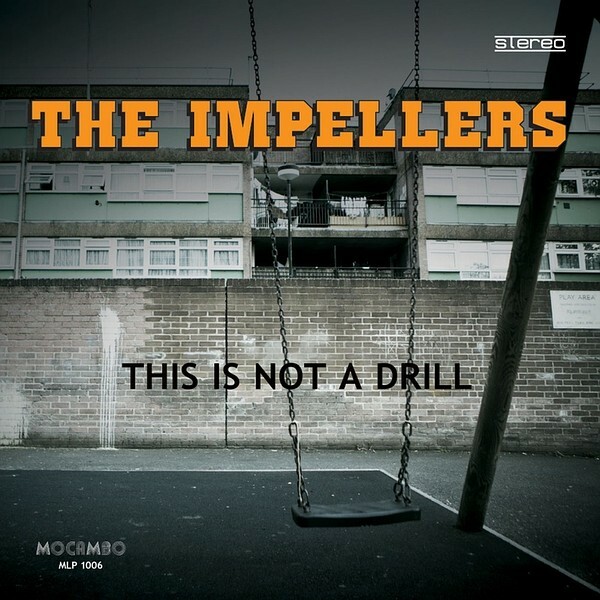 Mocambo records is very proud to present the original vinyl edition of long-anticipated second album by THE IMPELLERS ‘This Is Not A Drill’. 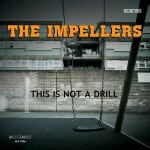 The Impellers are a 10-piece heavy soul and funk powerhouse with strong original material. 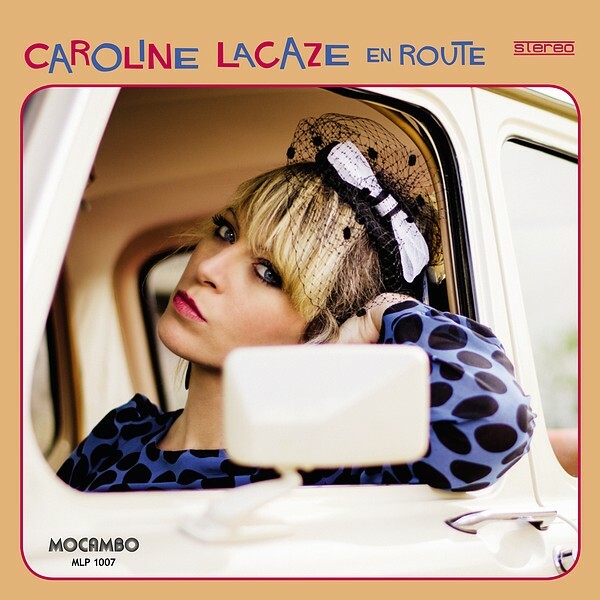 This new album brings together influences including heavy soul, deep funk, latin and afrobeats, hip hop production, all topped by the gritty vocals of lead singer ‘Lady’ Clair Witcher. 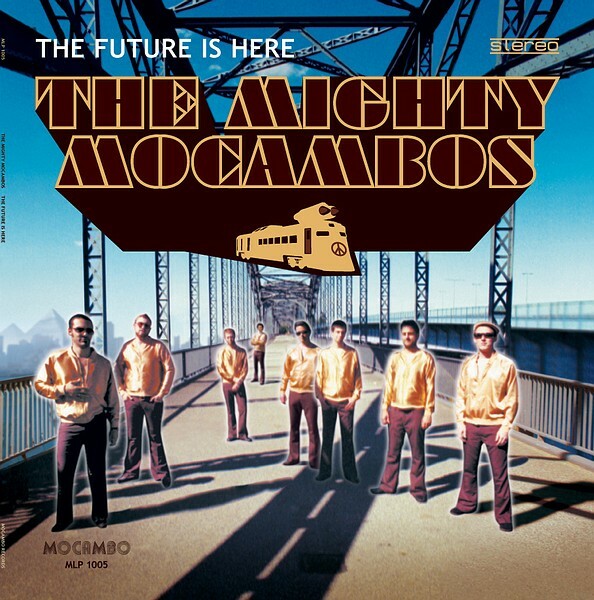 The vinyl edition of the LP features a heavy old-style cardboard sleeve (free of barcodes and weblinks) and includes a download code for the entire album in full AIFF quality, plus bonus tracks such as funk re-version of the instantly recognisable “That’s Not My Name” by The Ting Tings. Release date: 31.8.2009 SOLD OUT! 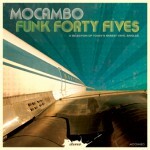 Ever since their first collaboration on the “Mocambo Funk Forty Fives” compilation, things have gained momentum for the “Golden Girl of Funk” and the much respected Hamburg-based label and live band. Their first single “Working Woman” became an overnight smash and a prime-time club favourite of funk & soul DJs from all over the world. 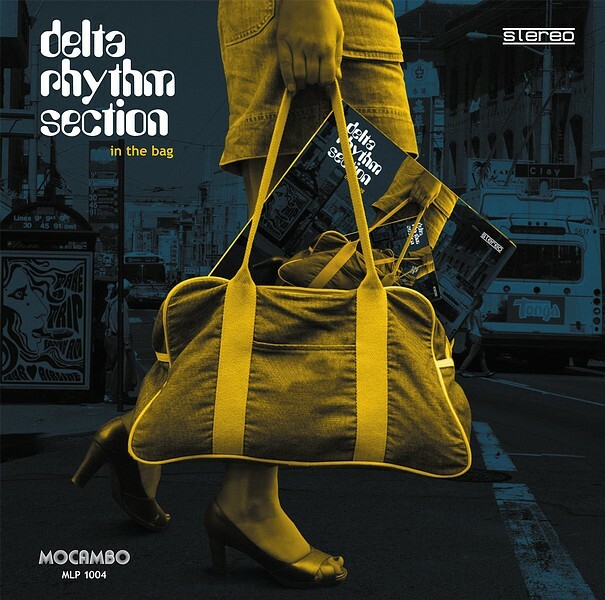 Initially released on the Finnish private press label Old Capital, producer legend and Grammy nominee Kenny Dope (Masters at Work, Bucketheads) picked up and remixed the song for his own label Kay Dee Records. 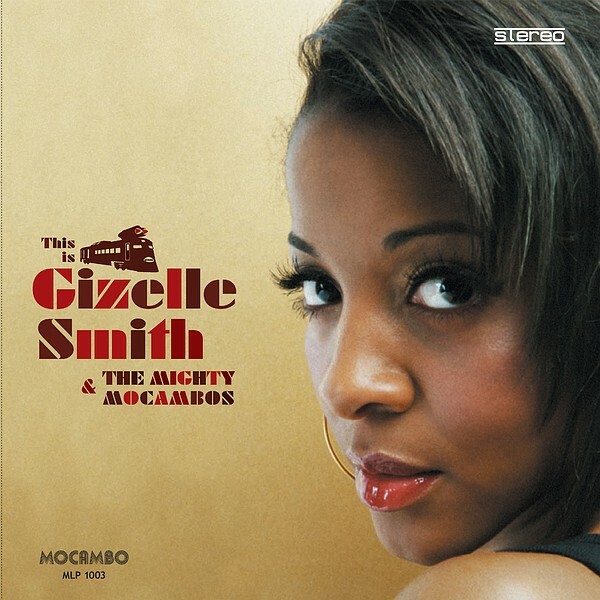 Gizelle Smith & Mocambo now step up with a full-length album of bonafide sister funk. 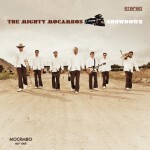 In the days of digital recording and Pro Tools editing, they show true exception to modern techniques and create their highly regarded, unique and raw soul sound, by making use of simple dynamic microphones and reel-to-reel tape machines. In a genre which is often littered with overused clichés of the past, the charismatic Gizelle Smith adds a lot of her own flavour rather than slavishly copying icons of bygone decades. The result is a refreshing alternative to post-millenium plastic pop without being a mere retro rip-off. From the heavy and determined “Gonna Get You” to vulnerable, gospel-tinged laments such as “Coffee High”, the album is just as deeply rooted in the music from the golden era of soul as it is a modern masterpiece in its own right. Blazing horns, soulful guitars, driving drums and basslines combined with Gizelle’s gripping and powerful voice all weave together to create a long player that is varied and coherent at the same time. Release date: 26.6.2009 SOLD OUT! 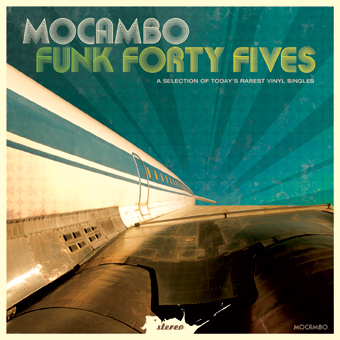 Mocambo is notorious for their killer Funk 45s that have become a favourite of prestigious DJs, ambitious collectors and music lovers worldwide. While the first label compilation sported the highlights of their first, sold-out vinyl 7“ releases, this sampler is a fine selection of new & previously unreleased material. 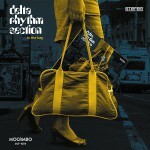 Most of the tracks were originally composed for use in movie and television film scores and not for commercial release. 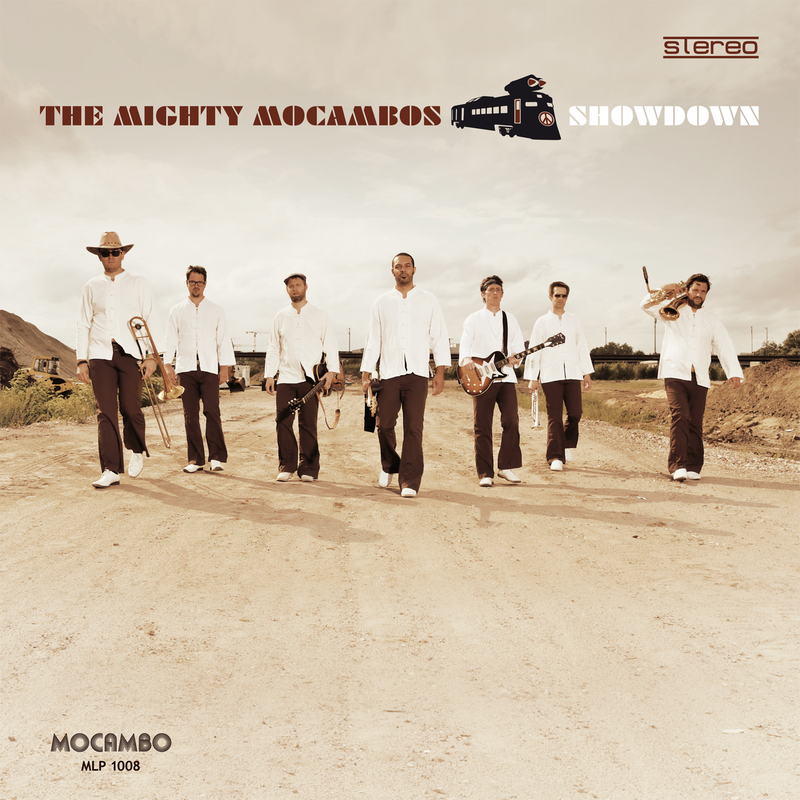 Mocambo is very proud to offer these gems to connaisseurs and true vinyl lovers. 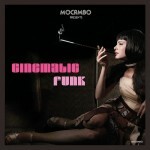 As the title „Cinematic Funk“ suggests, the music has more to it than just the usual 45 sound. From the grand opening theme, to quirky, heavy street soul, sweet love themes, moody downtempo jazz, psychedelic B-movie sitar grooves, chilled and spaced out tunes to blaxploitation car chase sceneries, the cream of Europe’s funk bands like James Taylor Quartet, Speedometer, Sound Stylistics, Delta Rhythm Section and the Mighty Mocambos deliver a broad variety of film-inspired funk styles. 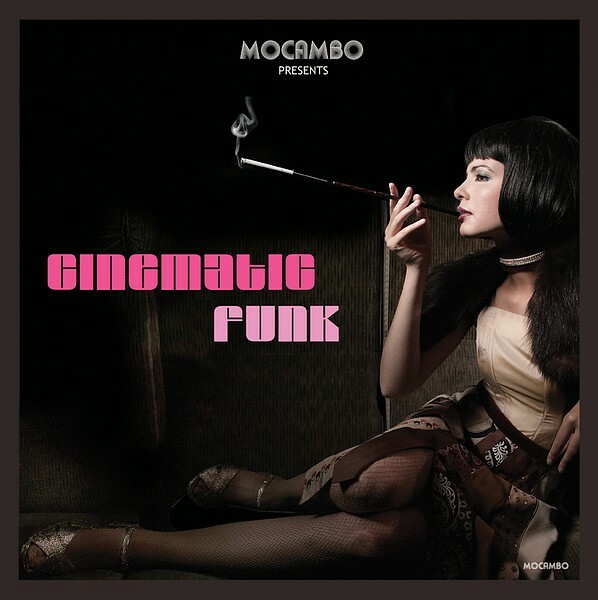 Sit back, relax, listen to these hip sounds and create your own movie in your head to the score of Mocambo’s CINEMATIC FUNK. 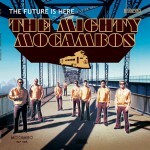 The album’s artwork is free of rubbish like barcodes or web-/email-addresses.